SANSI was founded in 1993 in Shanghai, the idea of a retired director of National Research Institute. 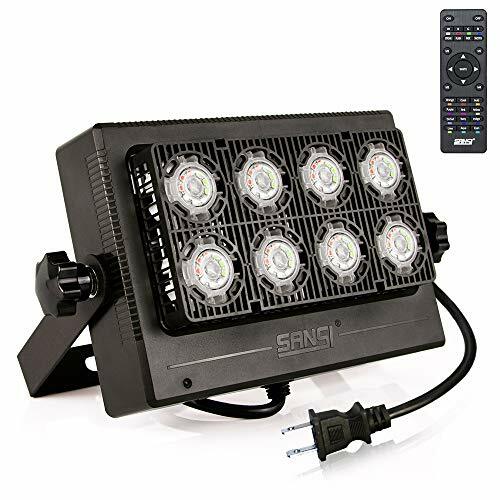 Dedicated to High Technology LED Application, SANSI has won numerous national and international awards. Now SANSI has been a Global Leader in LED lights and LED screens with 236 patents, over 400 R&D engineers, 2000 employees, 3 advanced factories etc., the number is still increasing. Almost a half of the LED screens in New York Times Square and the screen in Verizon Center, Washington, D.C. are made by SANSI. Please confirm the input voltage before using. Improper use of voltage may damage the product and cause safety hazards. Plug is not waterproof, please keep it dry when you use it. If you have any questions about this product by SANSI, contact us by completing and submitting the form below. If you are looking for a specif part number, please include it with your message.